Gül Yanik is a Turkish Lawyer, admitted to Istanbul Bar Association. artists. She also focuses on women’s rights cases. Ms. Yanik represents clients before Turkish Courts. Ms. Yanik received her law degree from Baskent University, Faculty of Law, Ankara. She studied in England, Italy, Turkey and Switzerland. 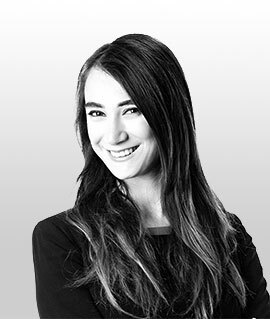 Gül Yanik holds an LL.M degree in International and European Economic and Business Law from University of Lausanne, Switzerland. She speaks Turkish, English, French and Italian. Gül Yanik is the former Turkish ICC YAF representative for Middle East, Africa and Turkey Chapter. She is a formal mediator admitted to Ministry of Justice of Turkish Republic.